Testimony of the Green Legal and Education Fund Inc.
My name is Mark Dunlea and I am chair of the Green Education and Legal Fund (GELF). Thank you for the opportunity to testify on the state budget on environmental and energy issues. While we are glad to see Governor Cuomo’s recent call for a Green New Deal – something we began to call for in New York State in 2010 – his proposal is significantly weaker than ours. This starts with his a much slower timeline for climate action. 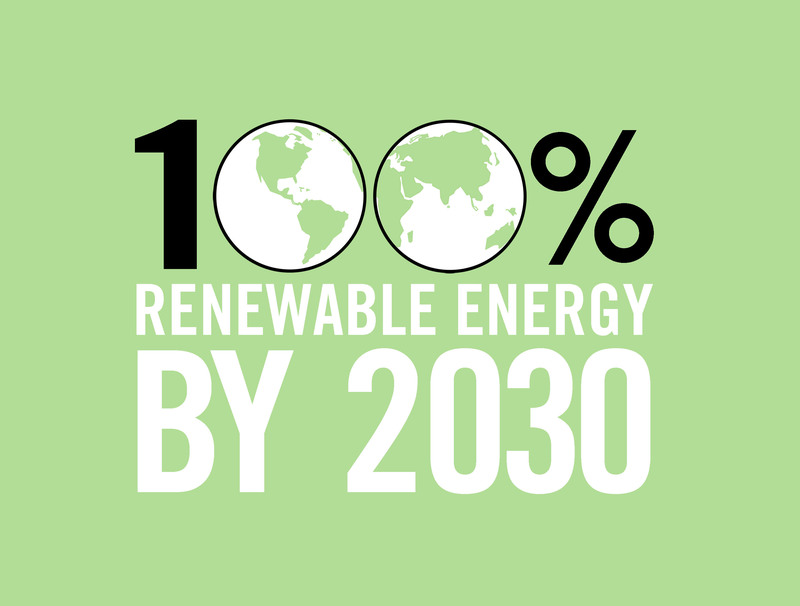 We propose moving to 100% renewable energy by 2030 for everything; he wants 100% just for electricity by 2040. He also proposes a far more limited New Deal. While it is good to see the Governor’s support for environmental justice and a Just Transition, we need a full-scale push for economic rights as FDR stated in his last State of the Union: a guaranteed right to a living wage job; single payer universal health care; fair taxes; affordable housing; free college education. – enact a program to reduce and compost organic waste and to divert it from landfills. The United Nations last month announced that we have 12 years left for an emergency worldwide mobilization – unprecedented in human history – to halt the use of fossil fuels and eliminate greenhouse gas emissions. They also made clear that we need to try to keep global warming under 1.5 degrees (C), rather than the 2 degrees which has been the target of much of New York’s climate policy. The higher target is reflected in the 2009 Executive Order on climate; the various climate goals set by the Governor; and the various bills the Assembly have passed since 2009 (including the Community and Climate Protection Act). Failure to take such dramatic action increases the likelihood that human civilization as we presently know it will cease to exist. Floods, sea level rise, wildfires, heat waves and droughts will make parts of the planet uninhabitable. Climate refugees will likely be in the hundreds of millions. Support systems involving energy, food and water will break down, leading to wars over such resources. Hundreds of millions, if not billions, could die. The UN warns that civilization as we know it may cease to exist. Scientists now provide analysis over the possibility of the extinction of the human species. The situation is dire and requires New York to commit to a full-scale emergency climate mobilization. It is important to recognize that the IPCC’s warning is overly optimistic. In each of its prior statements on climate change, the worst case scenario has been the most accurate – though often overly optimistic. Scientists are cautious by nature in making conclusions and usually refrain from bold recommendations. In addition, they have to get countries like Saudi Arabia, the US, Russia and Brazil to agree to the wording. And the recent IPCC warning relies on a miracle even with the 12 year warning. It admits we will blow well past the tipping point but hopes we develop the technology to remove carbon from the atmosphere, something we are nowhere close to doing after tens of billions in research. The NY Times Magazine several months ago devoted its entire Sunday edition to the proposition that life on the planet is doomed since we lacked the political leadership to take action to stand up to the fossil fuel companies. Pope Francis was correct when in his climate treatise he said we could not solve climate change unless we also solved injustice, since it is the same mentality that allows the wealthy to exploit the poor that drives humanity to exploit the planet. We need to change our political and economic system, our values, to focus on meeting the needs of all not just enrich the wealthy. In the last month Governor Cuomo announced his support for a Green New Deal and said he wanted New York to be the national leader on climate change. The Governor deserves praise for such objectives, and for stating strong support for a Just Transition and environmental justice while significantly expanding his commitment to several renewable energy, storage and efficiency goals, especially offshore wind. Yet the state still needs to significantly accelerate its climate agenda. The sobering reality is that 16 years after Governor Pataki announced bold goals to increase renewable energy – and 8 years into the Cuomo era – New York gets a mere 4 to 5% of its electricity from wind, solar and geothermal energy. Setting goals is one thing, achieving them is something else. California in contrast announced last year that it expects to get 50% of its electricity from renewable energy by 2020 – ten years faster than they planned. New York’s poor performance to date on renewables hinders job growth and economic development in our state. Still, nationwide, jobs in the renewable electric industry already outstrips those in the fossil fuel industry by 5 to 1. In NYS, the US Department of Energy estimates that jobs in clean energy outnumber those in oil, coal and gas by 13 to 1, though most of the jobs are in “energy efficiency,” which including 30,000 in HVAC. NYS has about 13,200 jobs in solar and wind and 5,850 in hydro. California in contrast has 157,000 in solar and wind (mainly in solar). Cuomo’s climate agenda has focused primarily on electricity – which accounts for less than 25% of the state’s carbon footprints. Progress has been even slower on transportation and the heating / cooling of buildings, with each accounting for about 1/3 of the state’s carbon footprints. Energy efficiency has been neglected. NYS itself officially a year ago dramatically revised its estimate of sea level rise to 6 feet by the end of this century. Studies by Dr. James Hansen and other scientists, along with NOAA, found that the ice shelfs are melting so rapidly that it possible that sea levels may rise up to 9 feet by 2050. NYC is one of the three most vulnerable cities on the planet to rising sea levels. It is also possible that there will be parts of the US where humans cannot go outside by the end of this century. New York is relying far too much on the “market” that helped create the climate crisis to now solve it. (Yet ironically the Cuomo administration has resisted a carbon tax to correct the market.) The Governor’s announcement of a Green New Deal however seems to reflect the recognition that NY needs a far more aggressive intervention that requires a significant increase the investment of public funds. A major purpose of government should be to set the goals, pathways and benchmarks for the economy to meet the public good. The IPCC says we need an unprecedented worldwide emergency mobilization to avoid catastrophic climate change. We need to focus first on how fast it is important to make the transition to 100% clean energy and then figure out how we mobilize the resources and talents are needed to achieve what may seem impractical if not impossible. We need a response similar to what we saw in the US after Pearl Harbor or after President Kennedy set a goal to land a person on the moon. While Governor Cuomo has proposed a goal of 100% clean electricity by 2040 (and 70% by 2030), he still is calling for only an 80% reduction in greenhouse gas emissions by 2050. This is inadequate. We also need to avoid using carbon offsets to meet this goal (e.g., paying people elsewhere to plant trees). During the successful campaign to convince New York to halt the fracking of natural gas, a study was done by Stanford (Mark Jacobson) and Cornell professors (Bob Howarth, Tony Ingraffea) showing that based on existing technology, it was possible for New York to get all of its energy needs from clean renewable energy by 2030. The bill that GELF helped draft (Off Fossil Fuels Act) seeks to implement that study. Since it was unlikely that the Act would pass while the Senate was controlled by the Republicans, we focused three years ago on getting state budget funding for Cornell to do a more detailed analysis with timelines, activities and benchmarks for how fast could the state get to 100% energy for all the various sectors. While the Assembly supported the study in its budget resolution (including the 2030 timeline), it failed to be included in the final budget. We then worked to get the Cuomo administration to do a study on how fast the state could achieve 100% renewable energy / zero carbon emissions. Governor Cuomo announced in his 2017 State of the State that NYSERDA would do a study by the end of 2017. The release of draft of the study has been repeatedly delayed. Most recently NYSERDA told GELF that instead of releasing the draft they intend to instead incorporate it into the process of updating the State Energy Master Plan. We urge the legislature to push for the release of the draft and then to hold hearings on it. While we expect that GELF would disagree with some of its findings, it would be helpful to start with some scientific analysis of the feasibility of various approaches that could be pursued, and to provide the opportunity for other scientists and climate experts to respond to the findings and conclusions. The Governor in his budget calls for the creation of a Climate Action Council to oversee the development and implementation of a state climate action plan. It should be noted that a climate action plan is required under an existing 2009 Executive Order. (A draft plan has sat on the DEC website for 7 years. ) The EO also established a Climate Action Council. It is disturbing that so little has happened over the last decade to further this official state policy, one that Gov. Cuomo re-issued. The NY Off Fossil Fuels Act has a much stronger climate planning process than either the Governor or the CCPA (which actually only calls for a scoping document, and has weak requirements for compliance by state agencies). Our proposal also follows the California model in requiring that counties and local governments with 50,000 residents also adopt and implement such a plan. It is critical that state and local agencies must be bound by such plans and that citizens have the right to legally enforce such plans. We need to halt any more fossil fuels infrastructure. Putting money into new fossil fuel infrastructure will intensify the pressure to burn fossil fuels during the 30 plus years of the operating life of the investment while diverting needed funds from renewable energy and efficiency. The State has the right to deny water permits for such projects but should also play an aggressive in convincing FERC to deny such permits, seeking to protect the public health and safety of New York residents. While New York has halted fracking in New York, we continue to allow the state to be flooded with imported natural gas from neighboring states. methane is 80 times more potent short term as a greenhouse gas compared to carbon. New York must reject natural gas as a cheap bridge fuel to a clean energy future; in reality, it is a gangplank to climate disaster. GELF opposes the appropriation of $88 million for the addition of two new large “fracked” gas power plants at Sheridan Avenue in Albany to provide heat and power for a Microgrid serving the Empire State Plaza. The current proposal by NYPA increases New York’s dependency on fossil fuels, perpetuates an inherently inefficient method of heating and cooling with steam, exacerbates climate change, and subjects a low-income community of color to decades of continued pollution. Last year the legislature added on authorization to the funding that it could be used for renewable energy. The legislature and the Governor should now agree in this’s budget that it must go to renewable energy. If funds are appropriated for an Albany Microgrid, it should be conditioned upon the issuance of a new Request for Proposals to solicit renewable energy alternatives that do not result in more gas being burned in Sheridan Hollow. This does not preclude the immediate replacement of outdated emergency diesel generators and changes to testing protocols that would reduce their run time. Pursuing a “fracked gas” solution for the capital of New York does not reflect well upon the state that “banned fracking.” However, a renewable energy solution incorporating geothermal technology would showcase New York as a climate leader and serve as a model for the nation. The proposed project is poorly conceived, both on environmental justice and climate grounds. First, the current proposal would subject the surrounding Sheridan Hollow and Arbor Hill neighborhoods, both consisting predominantly of low-income, people of color residents, to decades of continued pollution, violating environmental justice principles. The Sheridan Hollow and Arbor Hill neighborhoods, just a few blocks from the Capitol, have been burdened with more than their share of pollution for over a century. The Sheridan Ave Steam Plant (SASP) — still in operation today — has been burning fossil fuels since 1911, and the notorious ANSWERS trash to steam plant released heavy metals and other toxic chemicals into the surrounding community throughout the 1980s and 1990s. Back-up diesel generators today still spew black smoke into the community during testing of the ESP emergency backup system. These neighborhoods have had high rates of health problems including asthma and cancer. No group of people, including a racial, ethnic, or socioeconomic group, should bear a disproportionate share of the negative environmental consequences resulting from industrial, municipal, and commercial operations or the execution of federal, state, local, and tribal programs and policies. The proposed project would perpetuate a pattern of environmental injustice the residents of Sheridan Hollow and Arbor Hill have been subjected to for decades. Second, the Project would increase New York’s dependence on fossil fuels in contradiction to Governor Cuomo’s proposed “Green New Deal” which calls for 100% generation of electricity by 2040 in order to reduce greenhouse gas emissions and lessen the impacts of climate disruption. This proposed power plant, if built, will perpetuate an inherently inefficient method of heating and cooling, burning 50% more gas on Sheridan Avenue and increasing the ESP’s dependence on fossil fuels. As proposed, ninety percent of ESP’s electricity and 100% of its heating needs would be met from fossil fuels. Finally, the Project is unjustified on environmental grounds, as renewable alternatives in the form of geothermal, thermal load sharing, solar, and wind are readily available to power the ESP. Nationally known geothermal expert Jay Egg has reviewed the currently proposed project and has demonstrated, with a team of experts involved in the design and development of large-scale projects, that geothermal and thermal load sharing are thoroughly viable options for heating and cooling the ESP. The states of Oklahoma and Colorado presently heat and cool their state capitol buildings with geothermal energy and so does St. Patrick’s Cathedral in New York City. Stanford University recently replaced its co-generation fossil fuel power plant in favor of a heat sharing system with an energy savings of over 60%. A renewable energy solution incorporating geothermal technology would showcase New York as a climate leader and serve as a model for the nation. GELF recommends that the funds for this project be conditioned on a renewable solution for heating, cooling, and electricity. The FY 2019-20 budget must require NYPA and OGS to issue a new RFP that solicits clean renewable energy alternatives to the current project. Action must also be taken to remediate the situation of backup diesel generator that spew particulate and noise pollution into the community. We support the efforts of the Renewable Heat Now campaign to accelerate the adoption of ground-source (geothermal) and air-source heat pumps in New York. We support mandatory building retrofits to invest in cost-effective energy efficiency upgrades. We support amending state building codes to requires all new buildings to have net zero greenhouse gas emissions. On Oct. 9, 2009, then New York State Governor David Paterson signed the Green Jobs/Green New York (GJGNY) bill into law. Supporters projected that the bill would ‘green’ one million homes throughout the state, and create 14,000 new jobs. Six years past its passage, the legislation’s results are mixed at best. Only a few thousand homes were retrofitted, and it’s estimated that the program yielded only a thousand or so new jobs—1,069 as of two summer ago, according to state officials. The implementation of this program unfortunately has been impeded by the Cuomo administration, utilities and the financial community. The legislature needs to take action to enable it to achieve its goals. We support the acceleration of efforts to expand mass transit and to move to 100% Zero Emission Vehicles. New York should work with California to adopt goals similar to Norway which requires 100% of all new car sales to be 100% ZAV by 2025. California has committed 10 times the funding that NY has to support the transition to all electric vehicles like charging stations. California already has 6 times as many cars. Enact ecological and progressive taxes to fund $100 billion subway fix. GELF supports a multi-year $100 billion capital spending plan to fix the MTA, expand it to so-called “transit deserts,” and improve commuter trains from the suburbs. The $100 billion for these capital improvements should be funded by a variety of revenue sources, including congestion pricing, a carbon tax, land value taxation, and increased taxes on the incomes and stock trades of the wealthy. The Fast Forward modernization plan proposed by transit authority president Andy Byford calls for $19 billion in capital spending the first five years and $18 billion more the next five years for a total of $37 billion. The Regional Plan Association estimated it will take another $62 billion to extend subway lines to the city’s unserved “transit deserts” and make needed improvements to commuter rail service. The new revenues will also help stabilize the operating budget and enable free or reduced fares, as many cities around the world are now doing. Lower fares will help struggling working-class commuters and serve as an incentive to use public transit and reduce the negative impacts of cars in the city. The MTA acts too much like an ATM for Wall Street. At 16% of the operating budget, debt service for the capital plan consumes far too much of the operating budget. 52% of the capital budget is finance by bonding. It is better for average taxpayers to tax the rich upfront than to borrow money from them and pay them interest for it. Congestion pricing, the carbon tax, and land value taxation are ecological taxes on resource-depleting and environmentally-damaging activities that diminish the finite commonwealth of land, air, water, and life-sustaining ecosystems. Eco-taxes are generally progressive because they shift taxation away from incomes and savings earned by labor. But we need to also increase state income taxes on the wealthy. The share of all income in New York City going to the top 1% has increased from 12% in 1980 to 41% today. Income taxes on high personal incomes, corporations, and stock trades were cut over the same period, while public austerity budgets, including for public transit, have become the norm. GELF supports the clawback of a portion of the $10 billion annual windfall to New York corporations from the Trump corporate tax cuts that is not used by companies to raise worker pay or create new jobs. He would end the rebate of the Stock Transfer Tax to Wall Street brokers, which has generated between $6 billion and $16 billion a year over the last decade. He also wants to a more progressive state income tax, including graduated brackets on multi-millionaire incomes, which he said would yield $10 billion a year in additional revenues. GELF supports the congestion pricing proposal in the Fix NYC Higher-Range Plan. Based on an $11.52 round-trip fee into the Central Business District below 60th Street, it will generate $1.5 billion a year. New York State should promote energy democracy, with community control / ownership of the energy system, ensuring that low and moderate income New Yorkers can participate in our energy future. GELF supported the Governor’s Article VII proposals last year to allow NYPA to own renewables. We support public ownership of much of the energy system at both the state and local level in order to reduce costs and to ensure that the energy systems meets public needs rather private profits. We need a Just Transition to ensure that workers and vulnerable communities are assisted. We need to avoid the gentrification of our energy system, ensuring that low-income individuals and communities can fully participate in our clean energy future. We need to support energy democracy, including the development of community shared renewables, Community Choice Aggregation, and public ownership / worker / community cooperatives. We support the proposal by Assemblymember Barrett to provide a tax credit to farmers who practice regenerative agriculture to reduce their carbon footprint and return carbon to the soil. We continue to oppose the Governor’s $7.6 billion subsidy to Exelon to keep open a handful of old, failing upstate nuclear plants. GELF is a plaintiff in the lawsuit filed by Clearwater challenging this nuke bailout. The state failed to adequately evaluate alternative approaches on how to spend $7.6 billion to create jobs and promote clean energy. We support New York allowing Community Choice Aggregation in NY to operate under rules similar to those in California, giving CCAs the power to negotiate directly for the purchase of electricity in order to support the development of local renewable energy sources. GELF is on the steering committee of a CCA being organized in the Capital District. To build large renewable energy projects in New York takes 6 to 10years for the permit process; places like Kansas take less than a year. The State must devote resources to solving this barrier. One solution is to have municipal power systems develop renewables, as is done widely in other places like Germany. With public power, the proposal is viewed as a common good and tends to have more public acceptance and support. The state should provide upfront funding to any local government, including schools and other districts, that want to construct a publicly-owned renewable energy system in their community. The state should evaluate the proposal by NYC Congressmember Alexandria Ocasio-Cortez to create Public Banks as a financing mechanism for the transition to renewable energy. The “Jacobson” study a few years ago showed that NY could move to 100% clean energy by 2030 based on existing technology estimated the transition cost at around $480 billion. While much of this involves redirecting existing funds from the fossil fuel industry to renewable energy, and routine expenditures already budgeted for system and distribution upgrades, it still requires new additional spending of tens of billions of dollars a year. New York needs to adequately price carbon to reflect the true economic, health and environmental costs associated with tis use. New York should enact a carbon (greenhouse gas) tax or fee to accomplish this purpose (this needs to include methane). The prime purpose for carbon pricing is to make polluters pay for the damages they cause while accelerating the transition to clean energy sources by making fossil fuels reflect their actual costs. The Governor used the social cost of carbon to justify his $7.6 billion bailout of three small upstate nuclear plans. This had led the NYS Independent Systems Operator to seek similar handouts for other electric producers, a proposal which the Governor has embraced through the Public Service Commission. The biggest obstacle to clean energy is that the market prices of coal, oil and gas don’t include the true costs of carbon pollution. A robust and briskly rising carbon tax will transform energy investment, re-shape consumption, and sharply reduce the carbon emissions that are driving global warming. The International Monetary Fund estimates that worldwide we provide $5.3 trillion in annual subsidies to the fossil fuel industry. We need to stop paying to make the world inhabitable for humans. In New York, it is estimated that allowing the burning of fossil fuels increases health care costs by $30 billion or more while leading to at least 3,000 annual deaths from air pollution. It would be better to enact a robust national carbon tax. However, since the present Congressional gridlock on climate change makes this unlikely, New York should take the lead and enact a state carbon tax. In Canada, British Columbia has successfully implemented a provincial carbon tax. The tax has helped BC reduce its carbon emissions 3.5 times more than the rest of Canada while their economy performed slightly better than the rest of the country. There is significant interest in the northeast in a regional carbon tax. Northeastern states are continuing to examine the possibility of some form of regional approach to address transportation / gas under the Climate and Transportation Initiative. Several years ago Gov. Cuomo had publicly raised the possibility of a regional gas tax to support mass transit. GELF helped draft carbon tax legislation which has been introduced. We actively support A107(Cahill) / S2846 (Parker). We are also supportive of the polluter pay carbon tax proposal that has been developed by NY Renews, including its proposals for investment in a Just Transition and environmental justice. In the Cahill / Parker bill, we selected the various options included in the bill after surveying several hundred climate change activists – we adopted the positions with the most support. The proposed carbon tax would start at $35 a ton and then increase in annual increments of $15 a ton. 60% of the revenues would be rebated to low and moderate income consumers. The remaining forty percent will support the transition to one hundred percent clean energy in the state, to support mass transit to reduce carbon emissions, and to improve climate change adaptation. Such funds shall include payments and subsidies for renewable energy, energy conservation and efficiency measures, improvements in infrastructure, improvements in mass transit capacity, agricultural adaptation measures, protection of low-lying areas including coastlines, and emergency responses to extreme weather events. At the base rate of $35, according to Prof. Sara Hsu of SUNY New Paltz, the revenues would amount to over $3.5 billion. In Year Two of implementation, with an increase of $15 per ton, the revenue would be $6.2 billion, in Year Three, $7.9 billion, in Year Four, $9.5 billion, and in Year Five, $11 billion. At the last point, revenue would amount to $14.3 billion. It is estimated that the initial carbon price of $35 a ton would increase the cost of gasoline by 35 cents a gallon. At $180 a ton, the cost would rise by $1.58 per gallon. We recognize there are differences of opinions as to how to best invest the revenues: offset the regressive nature of any energy tax; do a 100% rebate of the tax to consumers (e.g., 100% fee and dividend); invest in the transition to renewable energy; and to meet other social needs such as job creation. The issue of what revenue options the legislature agrees to is less important than adopting a carbon price high enough to effectively reduce the amount of greenhouse gases emitted. New York already has a limited carbon pricing scheme through the Regional Greenhouse Gas Initiative for electrical production. However, the Congressional Research Service concluded that the pricing was set too low to have any significant impact on reducing carbon emissions. It is presently around $6 a ton. The emission reductions resulted from invested the proceeds from auctioning the carbon permits into renewable energy. The recent effort to reform RGGI regionally to set higher goals fell far short of what advocates were calling for but some highest goals for carbon emission reductions was agreed to. There is the possibility that RGGI may expand to gasoline as other cap-and-trade programs have done. Cap and trade programs however are subject to market manipulation and often shift the pollution burden to poorer communities and nations, which is why they were condemned by Pope Francis. We urge you to direct the Public Service Commission and other relevant state entities to halt the mandate that consumers provide $7.6 billion in subsidies to keep old, unsafe, uncompetitive nuclear power plants open in upstate New York. Energy efficiency measures and newer, cleaner, renewable sources of power are more cost-effective, better for human and environmental health and create more jobs. The Nine Mile Point, FitzPatrick and Ginna nuclear plants — like the Indian Point power plant you negotiated to shut down by 2021 — are inefficient and dangerous power sources and should be decommissioned. Most of these plants were built in the Vietnam era. New York’s overburdened ratepayers simply should not have to fork over billions of dollars in higher utility bills to subsidize such aging, economically uncompetitive nuclear plants. Utility reports filed with the state show that more than 800,000 consumers in New York State are already in arrears on their utility bills. Many more New Yorkers currently struggle to pay electric rates that are among the highest in the nation. Increasing the monthly charges for these vulnerable New Yorkers will only make a bad situation worse. Higher utility bills will also place a strain on businesses, schools, charitable organizations and local governments. New York communities are already straining against the limits of the local property tax cap. We cannot afford to see our municipal energy costs go up even further to bail out an industry that brings no economic development to our communities. We want to keep this money in our own communities to support our own local needs, including our own municipal energy efficiency and clean energy projects. New York State’s proposed multi-billion-dollar subsidy, which is essentially a “ratepayer tax,” is also a misallocation of resources that New York should be investing in energy efficiency and cleaner, safer alternative energy sources. The $7.6 billion ratepayer-funded subsidy to keep nuclear plants open will save only about 2,000 jobs in one region of the state, and only until the subsidy expires in 2029. A job creation or retention initiative financed statewide by consumers should have a positive impact throughout the state, not only one community. Unfortunately, the Public Service Commission, which approved the $7.6 billion ratepayer-funded bailout without any legislative involvement or approval, failed to evaluate alternative proposals for how most effectively to create jobs, help local taxpayers and promote clean energy. Further, in a matter of weeks, the price tag for this bailout soared from $59 million to $7.6 billion – a staggering sum, and far more than the state is investing in renewable energy. In July of 2017, Amory Lovins, who served as a consultant to the state in its REV process, released an analysis which debunks the notion that highly unprofitable, economically distressed nuclear plants should be further subsidized to meet financial, security, reliability and climate goals. The analysis showed that closing costly-to-run nuclear plants and reinvesting their saved operating costs in energy efficiency provides cheaper electricity, increases grid reliability and security, reduces more carbon, and preserves (not distorts) market integrity—all without subsidies. We urge that language to require the state to divest its pension funds from fossil fuels be included in this year’s state budget. The leadership of the NYC pension funds have committed to divestment. Governor Cuomo has called for the state pension to be divested, and recently announced the state would divest the tens of millions of funds it has in fossil fuels. New York State’s pension funds should cease making any new investments in fossil fuel companies and completely divest from them within 5 years. It should immediately divest from coal and from ExxonMobil, which is being sued by the State Attorney General for allegedly deceiving the public and investors about the reality of climate change. If the state had divested from fossil fuels a decade ago the pension fund would have an extra $22 billion. Since the divestment campaign started 5 years ago, more than $8 trillion has been divested from worldwide. If it is wrong to wreck the climate, then it is wrong to profit from that wreckage. After Hurricane Sandy, New York City should be a shining light in the fight to combat climate change — to do that, it’s pension funds must freeze and divest from fossil fuels. Divesting all fossil fuels from the New York State pension fund is an act of long-term fiduciary responsibility that will protect the well-being of New York State’s pensioners and citizens. We should require SUNY and CUNY to divest from the top 200 fossil fuel companies in the university’s college portfolios. Financial analysts and experts are increasingly worried about the risk of a carbon bubble that will arise if coal, oil and gas reserves become stranded assets. If governments meet their commitment to keep global warming below 1.5°C, they will need to pass regulations that force fossil fuel companies to keep 80% of their fossil fuel reserves underground. The accessibility of those reserves is a major factor in determining these companies’ share price. Once the reserves are marked as unburnable, the value of the fossil fuel industry could plummet, to the tune of trillions of dollars. The State has a fiduciary responsibility to protect the retirement funds of public workers from risky investments. Investing in fossil fuels poses increasing financial risk and loss to the CRF, thus its beneficiaries. Falling coal and oil prices, along with renewables now becoming cheaper than burning greenhouse gases, highlights the financial case for rapid divestment. Investors are increasingly voicing their concerns about the fossil fuel industry’s long term financial viability, and opposing new capital expenditures aimed at discovering new coal, oil and gas reserves. Investors are concerned about the increasing action by governments’ worldwide to restrict and tax the use of fossil fuels. The State Comptroller has resisted divestment, arguing for shareholder advocacy instead. Certainly, it is helpful to use the voting rights of pension to move companies to adopt more environmentally responsible practices. The comptroller should continue to lead shareholder advocacy campaigns to set greenhouse gas emission goals, improve energy efficiency across operations and source more renewable energy. But, it is extremely unlikely that a board of fossil fuel company is going to agree to stop the production of fossil fuels given that it is their core business. Shareholder advocacy is not an effective tool for changing the overall orientation of industries whose business models depend on producing fossil fuels. We support the legislation by Assemblymember Barrett to create a new financial incentive to farmers for land management practices which help improve soil health and reduce greenhouse gas emissions, making New York a leader in promoting new agricultural strategies that combat climate change. The state legislature did include $50,000 in the state budget to study the issue. California has devoted significantly more resources to support various pilot programs and studies. The IPCC recent report highlighted the importance of regenerative agriculture and other steps to reduce the carbon footprint of our food system. Climate-smart land management practices improve soil resilience and increase productivity for our state’s farmers while simultaneously addressing the state’s climate change goals. The aim of a statewide carbon farming initiative is twofold: as a land stewardship program, it would improve soil health and productivity by holding nutrients in place; as a climate-smart initiative it would mitigate carbon’s release into the atmosphere as carbon dioxide (CO2). Carbon dioxide contributes to climate change as a greenhouse gas by trapping heat in the atmosphere. A tax credit for farmers who practice land management strategies which store, or sequester, carbon in the soil is a new model for combatting climate change. Reductions in net CO2 emissions can be quantified by existing methods for measuring air pollution, especially the USDA’s COMET-Planner software which was developed following the enactment of the 2014 federal Farm Bill. New York would be the first state to offer this type of tax credit, specifically for carbon farming, to all taxpayers who make farm products and not only the largest agricultural businesses. By using no-till systems, planting cover crops, trees and perennial forages, and managing compost application, farmers can see improvements in water holding capacity, nutrient storage, and reduced erosion. All of these farming practices have the collateral benefit of sequestering carbon in the soil, thereby reducing its release into the atmosphere as CO2. The carbon farming program outlined would incentivize farmers who are currently using these strategies to continue them and would encourage others to undertake the prescribed soil health methods now widely accepted as beneficial not only to productivity but for the reduction in greenhouse gases. In general, more attention needs to be paid to greenhouse gas emissions from agriculture. According to the EPA, Greenhouse gas emissions from agriculture come from livestock such as cows, agricultural soils, and rice production account for about 9% of the country’s carbon footprint. Changing weather patterns will also pose significant challenges in growing food crops, including changes in growing seasons, rainfall patterns, and spread of insects. The state budget should include a ban on all plastic bags at retail outlets, regardless of thickness, and a fee for any other single use bag distributed by the store. The Governor is just proposing a ban on single-use plastic bags. It was very disturbing when two years ago the Governor and State legislature overrode the right of a local government – in this case New York City – to adopt rules that help reduces litter, reduce taxpayer costs and protects the environment. Meanwhile plastic bag laws in a dozen other New York communities were allowed to remain in effect, including a similar plastic bag fee law that took effect in Suffolk County on January 1, 2018. I organized one of the first forums in New York City five years ago, calling for a ban on plastic bags. We initially called for an outright ban. However, the legislation was repeatedly rewritten to placate local concerns and due to legal restrictions on city legislative authority. Among the compromises that were agreed to were: doing a fee on plastic bags rather than a ban; exempting low-income consumers (e.g., using food stamps / SNAP and/or WIC); giving the fee to the store owners rather than the city; lowering the fee from 10 cents to 5 cents; and, delaying implementation of the enacted law until Feb. 15, 2017. Plastic bags are a financial and environmental disaster. New Yorkers dispose of 9.37 billion carryout bags per year, the vast majority of which are not recycled. New York City pays an estimated $12.5 million to transport an estimated 91,000 tons of plastic and paper carryout bags to landfills in other states each year. Plastic bags jam expensive machinery at recycling plants and contaminate the recycling stream, increasing costs. They are a major source of litter everywhere as the wind carries them even into wilderness areas and they end up as a major pollution source in our oceans. One reason to get rid of plastic bags is to reduce the use of fossil fuels that go into their manufacture. Plastic bags never biodegrade, but they do breakdown. As they do so, the toxic additives they contain—including flame retardants, antimicrobials and plasticizers—are released into the environment. Many of these chemicals may disrupt the endocrine system. Plastic bags are especially harmful to marine animals, often choking them. Fish eat the colorful plastic bits and in a few years one out of three pounds of fish harvested will be plastic by weight. For sea turtles, the plastic blocks their digestive tract and the food that is trapped releases gases that render them buoyant, and unable to dive for food. The problem is not unique to New York; it is a global problem. According to a recent report, experts estimate that over eight million metric tons of plastic waste ends up in the world’s oceans each year, and that amount is likely to increase dramatically over the next decade unless nations act. Over the last two years the Governor has championed legislation to reduce food waste, which had strong support in the Assembly as well though it was ultimately blocked by the State Senate. We are surprised that this was not included in this year’s budget. We hope the Governor will add it during the 30-day budget amendments or propose it separately. More than 400,000 tons of organic material – edible food and food scraps – are generated annually by New York’s large generators and landfilled. With 3 million New Yorkers suffering from hunger, keeping food out of our landfills NOW is not only feasible but necessary. The Food Recovery and Recycling Act (FRRA) would require the state’s largest food waste generators – supermarkets, hospitals, colleges, large restaurants – to reduce their food waste by first donating any excess food to food rescue organizations and then recycling their food scraps. Only businesses that generate more than 2 tons (4,000 pounds) of food waste weekly would be covered, and only if there is a food waste recovery business within 40 miles of their establishment. The proposal would not apply to New York City, which has its own existing requirements. It does not apply to elementary and secondary schools statewide. Food waste generators may apply for hardship waivers based on cost, capacity of nearby recyclers and unique circumstances. The program will promote new businesses and jobs to handle the food waste recovery. FRRA will provide surplus food to hungry people, convert organic waste into valuable compost, and drive economic development in NYS. It will create jobs, enhance efficiency and reduce greenhouse gas emissions by diverting organic material from our landfills. In the United States, almost half of all food sold is thrown away. The result of this waste, which happens at every stage of the journey from farm to fork, is that millions of pounds of food end up rotting in landfills, releasing methane, a highly potent greenhouse gas. Americans waste about 25 percent of the food we purchase. The value of uneaten food per US household is almost $1000 per year. Most of our wasted food ends up in a landfill where methane gas is generated as it decomposes in the absence of air. Methane, a potent greenhouse gas, contributes to climate change. Landfills are the third largest source of methane in the US. In the United States, food waste is estimated at between 30-40 percent of the food supply. This corresponded to approximately 133 billion pounds and $161 billion worth of food in 2010. In New York, food makes up 18% of the municipal solid waste stream. An estimated 4 million tons of excess food, edible food not sold or used by its generator, and food scraps, inedible food and edible food not donated, are generated annually in New York State. Each year, more than 97 percent of these food wastes are landfilled or combusted increasing emissions of harmful methane gasses. The Hunger Action Network of NYS, food recovery programs and local food banks support this Act. There are 3 million hungry residents in NYS and 37% are children. By rescuing 5% of food waste from large generators, 20% more edible wholesome food would be available at food banks – that is nearly 670,000 meals every week. Funding will be made available to assist the food banks and emergency food programs to obtain the equipment needed to ensure safe transport and delivery of such donated food. Assistance in food waste prevention, recovery, and recycling will be made available to all generators. It will help them refine purchasing methods, improve storage techniques, train staff and get creative with business practices. Organizations such as the New York State Pollution Prevention Institute (NYSP2I) provide technical assistance for large generators, haulers, food recovery, and food waste recycling facilities. Additionally, an online Clearinghouse was developed to support food related businesses seeking to divert food waste from landfill. Composting is cost-effective. As a valuable soil enhancer, it can improve plant growth, reduce water use, and replace costly fertilizers. In addition, large amounts of low-moisture content food like bakery waste, as well as high-moisture food like vegetables and fruit, are also suitable for animal feed, which cuts back on farm feed bills, often the most expensive farm input. The vast majority of generated waste is disposed of in landfills where it breaks down and releases methane, a potent greenhouse gas. Recycling, rather than landfilling this waste, could have the same greenhouse gas reduction benefit as removing more than 25,000 cars from the road. U.S. Department of Agriculture, Office of the Chief Economist, https://www.usda.gov/oce/foodwaste/faqs.htm. Biomass Magazine, by NYSERDA, http://biomassmagazine.com/articles/14278/nyserda-ny-food-waste-diversion-could-net-22-million-yearly.